For a number of years the price of gold has continued to hold its own while various currencies, stocks and bonds have fluctuated wildly. Gold has always been considered an evergreen investment due to its ability to maintain value over the long term, regardless of what the other financial markets experience. Rather than buying gold stocks, many small investors prefer to own actual gold in the form of coins and bullion. Such gold can be purchased at short notice with minimal funds without placing a large order. Should the need to liquidate some assets arise, it is very easy to find a buyer for physical gold as it is always a hot commodity. Coins have value for a variety of reasons. They can be rare, historic, commemorative or limited editions. Regardless of their nuances, if they were melted down as scrap, gold coins always retain at least the value of the current market gold spot price. The scrap price for weight and purity should be any investor’s bottom line benchmark. The higher the carat (i.e. 24ct, 18ct, 14ct, 9ct etc.) denotes the actual content of gold as opposed to other alloys it may contain. The very first thing to check when purchasing is the purity and weight of the coins against the current gold value. 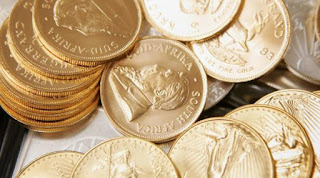 Gold bullion coins are created and backed by various mints around the world. There are Australian Kangaroos, US Gold Eagles, Canadian Maples Leafs, Austrian Philharmonics, South African Krugerrands and many, many more. These all have excellent purity and come in precise weights and varying denominations and face values. Some are more collectible than others but they retain at least the value of their weight as indicated by the Gold Spot Price, less dealer fees and added premiums. These same principles apply when buying gold bullion in Melbourne. Rare, obscure and highly collectible gold coins can also be purchased but buying and selling them can be an extremely complicated affair for the average layperson. It takes considerable expert knowledge to understand the value of these coins and true collectors hone their knowledge over decades, making it difficult for the average investor to profit in the market. The chances of making basic mistakes with your precious money are higher and therefore these coins are a considerably more risky investment. If in doubt, seek the expert advice of the best Melbourne gold dealers. Store your gold somewhere safe…like in a SAFE! While it may seem obvious, having part of your financial security invested in physical gold means that you need to actively protect your assets. Normally your money is tucked away in a bank, or exists as figures in a computer system until you need to draw on it. Having some of your finances on hand as gold can be a satisfying feeling; it makes your wealth seem more tangible. But this also means your money is at risk if your gold was ever to be stolen. Invest in a good wall safe or keep your gold coins in a safety deposit box with your local bank. That way your investment is never put at risk. Investing in gold coins and bullion need not be a complicated matter. Following these simple tips will protect your investments and help them grow well into the future.